Kumamoto Japan – As the capital of Kumamoto Prefecture, Kumamoto City is a hub of activity for locals and tourists alike. It is the third largest city in Kyushu with a population of over 650,000 residents. Surrounded by gorgeous scenery, the city is actually sitting on top of an abundant source of water! One look at the lush, green scenery around you and you’ll understand why this city thrives so wonderfully year round! If you’re looking to get away from the hustle and bustle of city life, but still have some of the creature comforts of home, then Kumamoto Japan is the place you should visit! Not only can you enjoy amazing sights in Kumamoto, but also partake in delectable food! This gourmet city is overflowing with delicious fruits, vegetables, beef, and seafood because of the rich earth and water. As the area was shaped by volcanos, it’s no surprise that the soil is fertile and able to produce some of the best produce known to man! 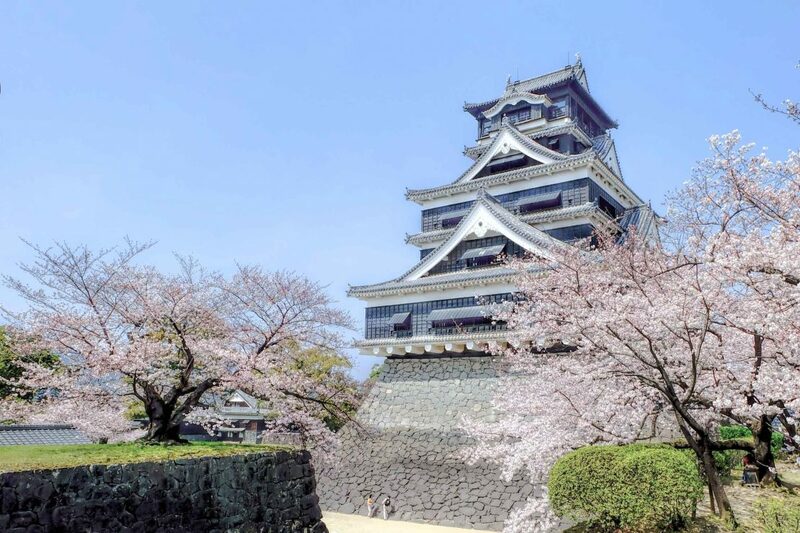 Though we’ve listed a few locations and attractions to visit below, we highly recommend a trip to Kumamoto Castle, which is one of Japan’s most famous castle sights. Don’t miss out on seeing this wondrous sight! To help you with your plans for an upcoming trip to Kumamoto, we’ve included vital information that should help you get to Kumamoto, find a place to stay, and figure out what to do while you’re there to fully enjoy the experience! Kumamoto Japan – How to get there? Kumamoto is accessible from Tokyo by the Sanyo, Kyushu, and Tokaido Shinkansen, though one transfer is involved no matter which you choose. One way trips are around six hours and can cost over 25,000 yen. Flights are available between Tokyo and Kumamoto flying out from Haneda Airport and landing in Kumamoto Airport. The flight is over an hour and a half long, and discount tickets can usually be found online. Driving in a personal vehicle using toll roads would take over 14 hours. 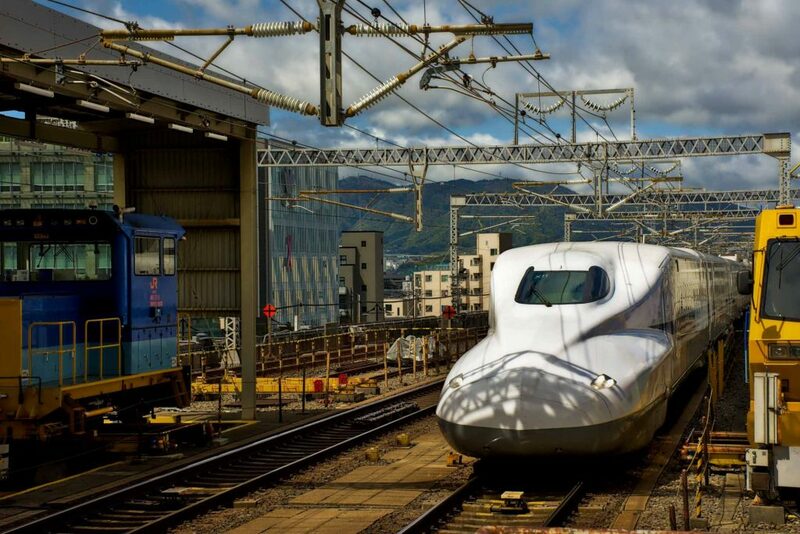 The Sanyo and Kyushu Shinkansen are the fastest and easiest ways to get to Kumamoto from Osaka, as they take around three and a half hours to make the journey. You can also book a flight from Itami or Kansai Airport to Kumamoto Airport and reach the area in about one hour. Overnight buses are also available, and take roughly 12 hours. Personal vehicles can reach Kumamoto from Osaka with a nine hour drive over toll roads. Kumamoto Japan – Where to stay? 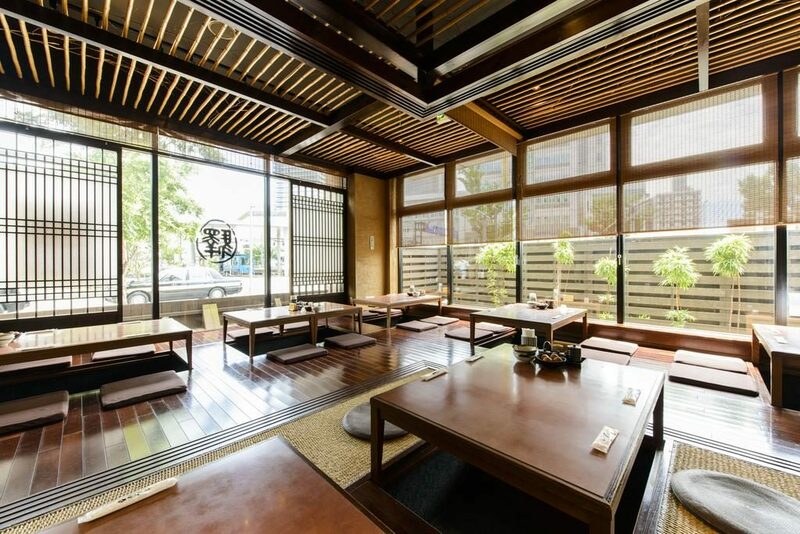 Located in walking distance from the famous Kumamoto Castle, this lovely little guesthouse provides guests with a beautiful garden and terrace to enjoy during their stay. Each room has a desk, air conditioning, flat-screen TV, and basic ammenities. You can also book a room that has a kitchen with a dishwasher and microwave! Parking is convenient for those who travel by car, and WiFi is available in all areas of the property – free of charge! 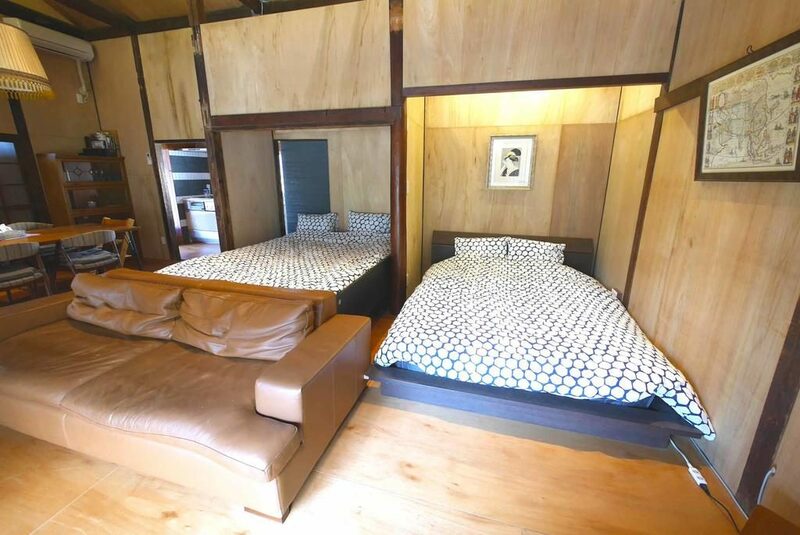 Why Guests Love It: Guests enjoy the authentic Japanese look and feel of this guesthouse that puts them into the perfect mindset to enjoy a day out in Kumamoto. The rooms are cozy, the staff speak English, and the large rooms have everything a traveler could ever want during their stay. Add to the fact that you can see some truly beautiful sights right from your room’s window and you might never want to leave! 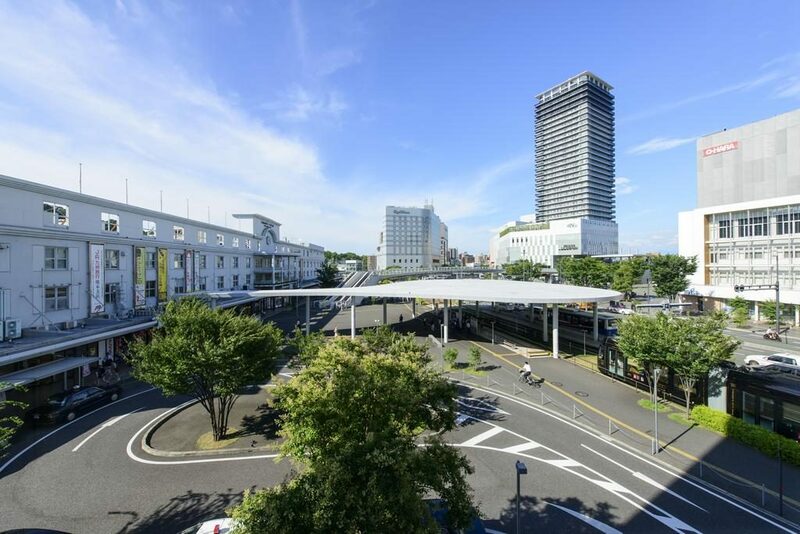 Connected to the JR Kumamoto Station, this hotel is perfect for those who don’t want to deal with the hassle of walking more than a few feet to get to the nearest station! There are meeting and banquet facilities available to rent, luggage storage, laundry services, and massage sessions available upon request. WiFi is free to use throughout the property, and local transport and sightseeing passes are available for purchase through the hotel! Why Guests Love It: Guests are enamored with how clean and spacious the rooms are, as well as how easy it is to have access to the JR Station from their hotel. They feel that the hotel is a great value for the price based on the room sizes, ease of transportation, and how accommodating the English speaking staff are. Plus, the hotel serves a delightfully refreshing and filling breakfast comprised of both Asian and American cuisine! Combining both Western and Japanese-style accommodations, Ryotei Matsuya Honkan Suizenji is one of the most highly recommended ryokan in Kumamoto. All rooms are air-conditioned and include a safety deposit box, fridge, electric kettle, green tea, private toilet, shower, and bathrobe. 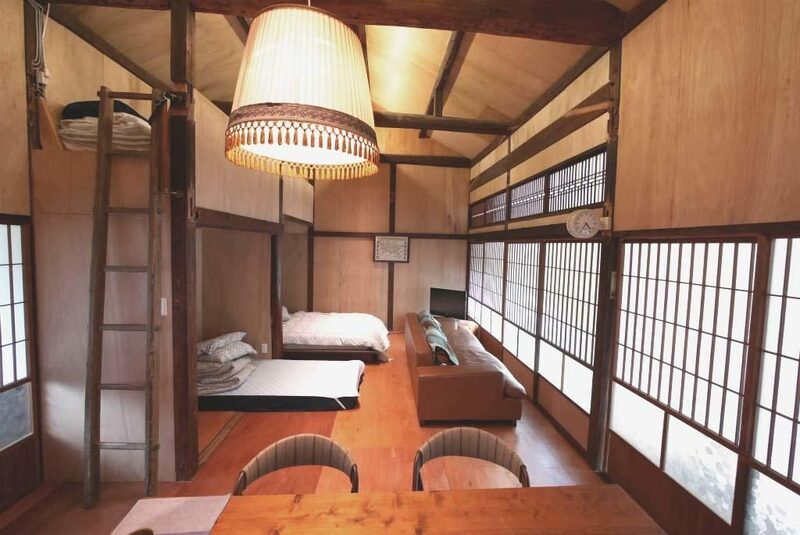 If you’d prefer a more traditional style of room, you can also choose to have a private bath and tatami floor area. Why Guests Love It: Guests love how close this ryokan is to the nearest station, Kumamoto Castle, and Suizenji Park. The tradition multi-course dinners and breakfasts served on the third floor never fail to satisfy guests and give them an authentic Japanese experience. 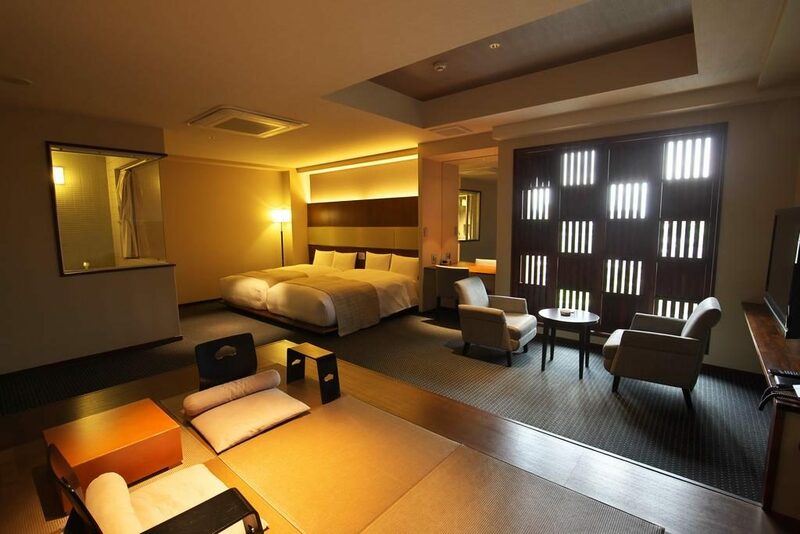 This ryokan is perfect for families traveling with children, as they have family rooms available as well. Overall, this ryokan has everything a visitor could ever need to feel at home in the land of the rising sun! Since taking seven years to be built in the early 1600s, Kumamoto Castle has become one of the most impressive castles found in Japan. The original designer for the castle, Kato Kiyomasa, was a local feudal lord known for his design skills and strategic fortifications. Half a century after the castle was completed, the Hosokawa clan took the castle and surround area and ruled it for the next two centuries. After the Meiji Restoration, the castle served as the main garrison for government troops in Kyushu during an uprising. Sadly, the castle keep was burnt down in 1877, though a ferron-concrete reconstruction was made in 1960 to recreate the castle’s original appearance. A museum was set up inside the building to display the castle’s history and construction. 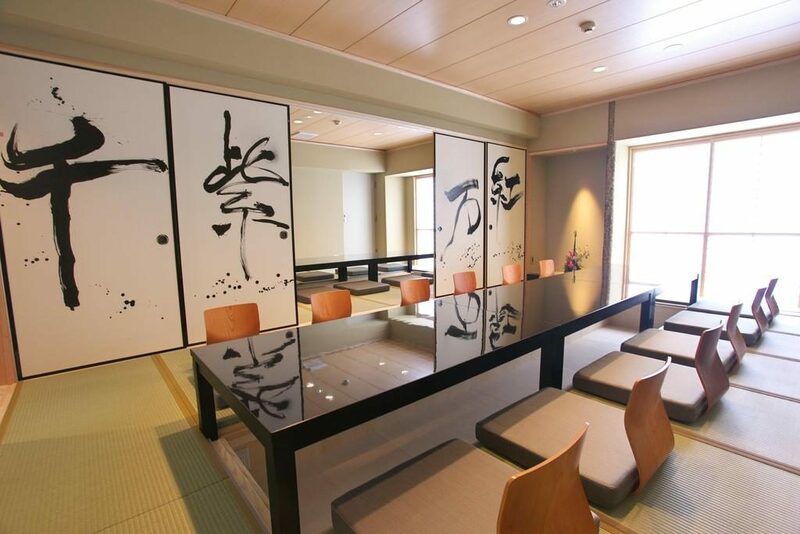 The reconstructed Honmaru Goten Palace opened to the public in 2008 and allows visitors to see accurate recreation of the how guests would view the interior. Due to the earthquakes of April 2016, the castle will need at least 20 years to be fully repaired. The main keep will need scaffolding until 2019, the plaza in front of the keep will be open to the public later in 2019, and the interior will be reopened in spring of 2021. You can, however, still view the entirety of the castle from the outside, so it is still an amazing sight to behold! 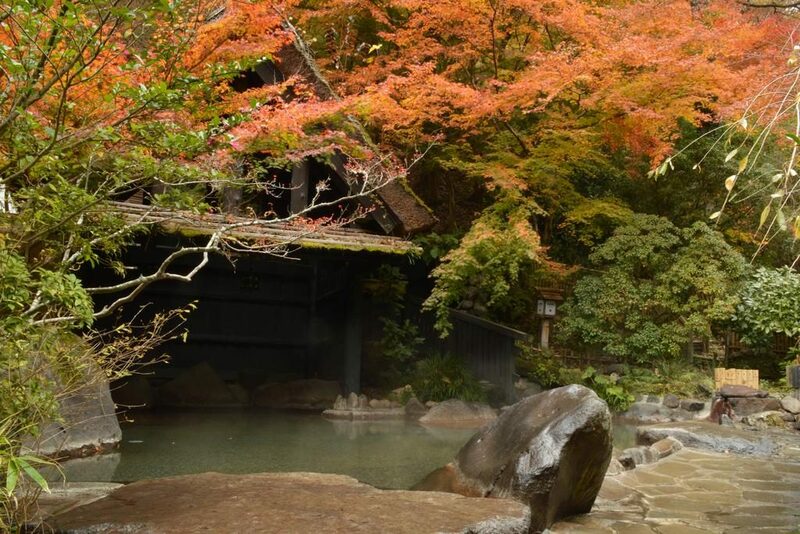 Hailed as one of Japan’s most attractive hot spring towns, the Kurokawa Onsen is perfect for travelers looking to relax and enjoy Japan’s natural spring waters! 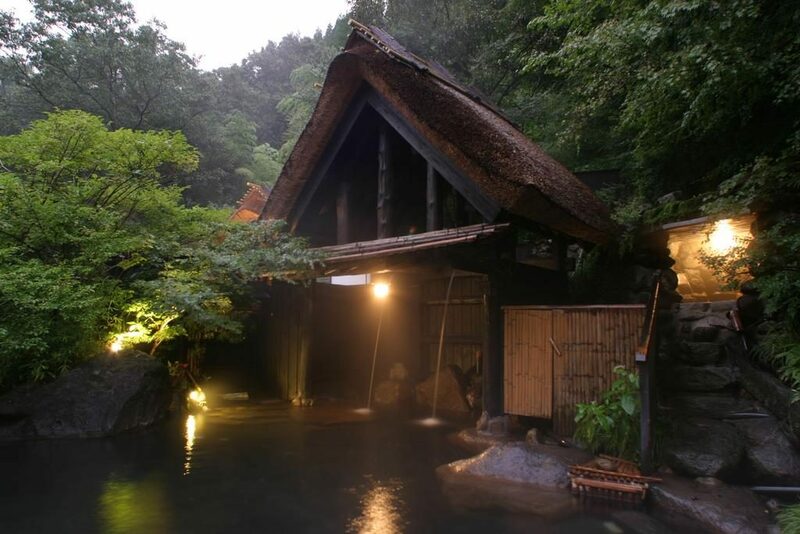 Situated north of Mount Aso in the middle of Kyushu, this beautiful area is void of any distracting architecture, colors, or sounds that would otherwise take away from the peace and tranquility of the onsen. Visitors will instead find themselves surrounded by natural colors and lighting, wooden buildings, stone stairways, flowing rivers, and other natural sights and materials. The area is easy to navigate by foot, as everything is relatively close to the center of the forested valley. 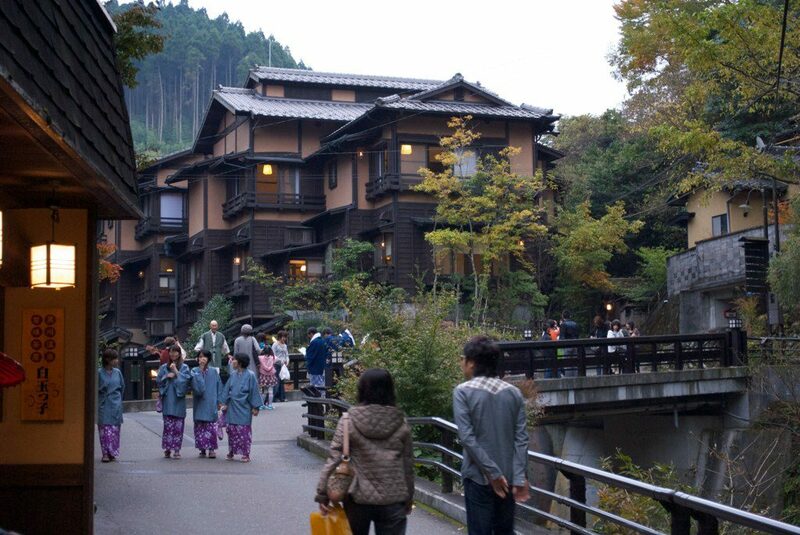 Many who visit dress in traditional yukata while they enjoy their stroll through the area. If you’d like to wear these comfortable garbs, you can either bring your own or find the local ryokan that provides them. 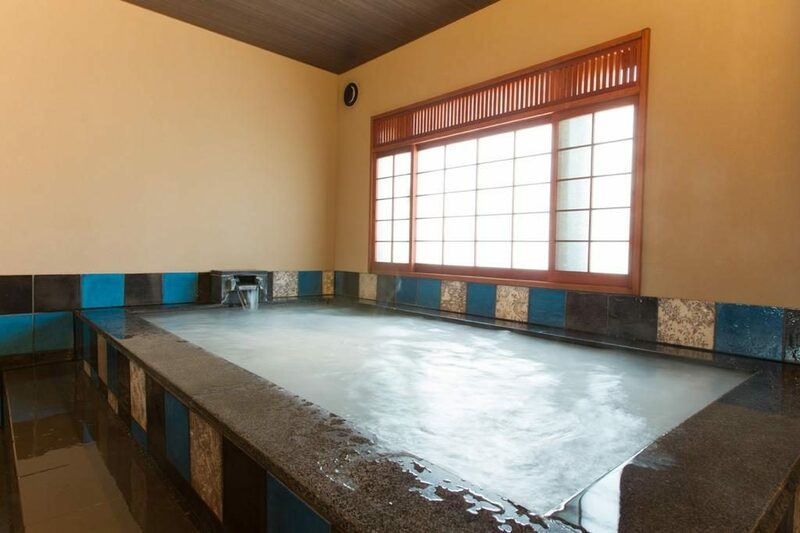 It’s highly recommended that even if you only plan to stay for one night in a specific ryokan, you can actually explore and try any other onsen in town by engaging in Rotemburo Meguri, or ‘tour of outdoor baths’! One of the newest shrines in the area, Kato Shrine was founded in 1871 as Nishikiyama Shrine, but was renamed Kato Shrine in 1909. In 1962, it was moved and rebuilt to the current location where it is now situated, and is far newer than many of the shrines around it. The shrine is well worth a visit because it offers such spectacular views of the main towers and castle, which you’ll be hard pressed to find anywhere else. Kato Kiyomasa is enshrined at this location, along with two of his vassals who took their own lives after Kiyomasa’s death. 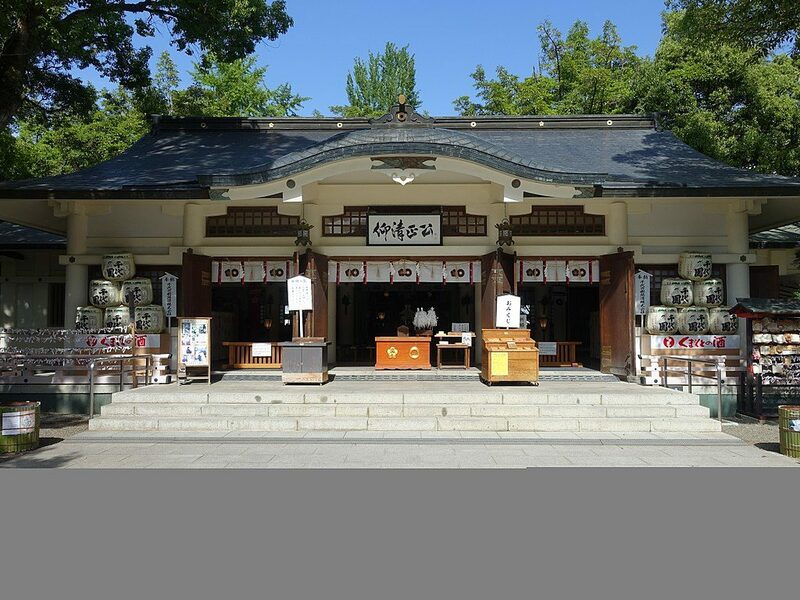 If you want to experience a piece of authentic Japanese history in all its glory, then make sure to visit Kato Shrine! Suizenji Jojuen, or Suizenji Garden, is a large, gorgeous Japanese style landscape garden with a circular pathway built for strolling. 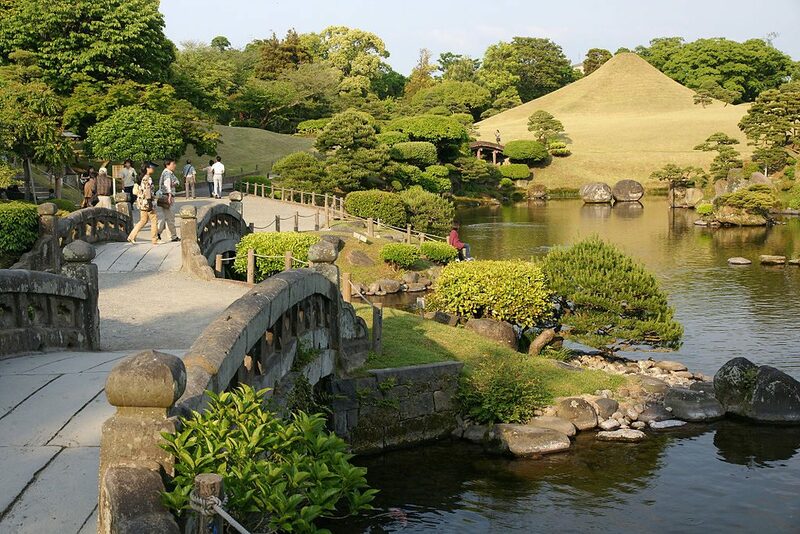 Built by the Hosokawa family in the 17th century, this garden was built with miniature forms of the 53 post stations of the Tokaido road, and even has a small Mt. Fuji for viewers to fawn over! The park is mainly occupied by carp, herons, and the busy gardeners who are seemingly always tending to the flora. Though the gardens took over 80 years to complete, you can enjoy large portions of the 6600 square meter oasis in just a single day! Sakuranobaba Johsaien is a Castle Town that recently opened as a tourist attraction at the foot of Kumamoto Castle. It was created to enhance the appeal of the old castle town and teach visitors about history, culture traditions, and food found in Kumamoto. 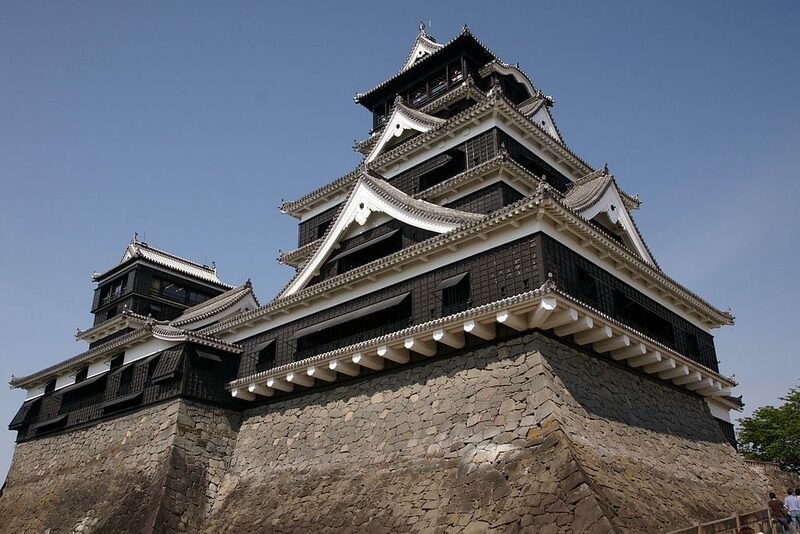 The facility has three main areas: Johsaien Kumamoto Castle Shops, Wakuwakuza, and a tourism information office. 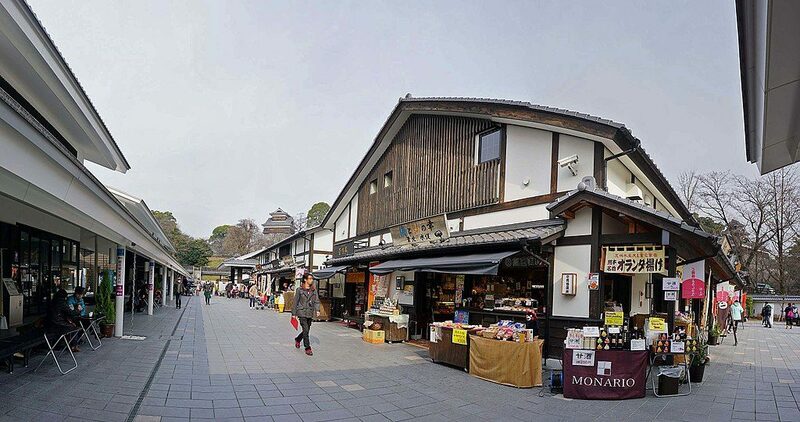 The Castle Shops are comprised of 23 different shops and restaurants that offer food and products found locally in Kumamoto. The Wakuwakuza is a facility that exhibits the rich history and culture of Kumamoto. Overall, this is a great place to go if you want to learn more about Kumamoto during you stay! Kumamoto Castle isn’t the only place to see spectacular views of Kumamoto City – you can also find breathtaking sights and panoramic views from the observation deck near the peak of Mount Kinpu. Starting at the base of the mountain, there are two trails to take – one that steadily winds up the mountain and another that’s nearly a vertical ascent to the peak – that are well-maintained but still a bit wild, so ensure you wear appropriate footwear for the trek. At the end of each trail is a long staircase that leads up to the observation deck and a small shrine where you can revel in the fruits of your hiking labor and enjoy the scenery. There’s even a small snack bar on top of the mountain to refresh and replenish your strength! 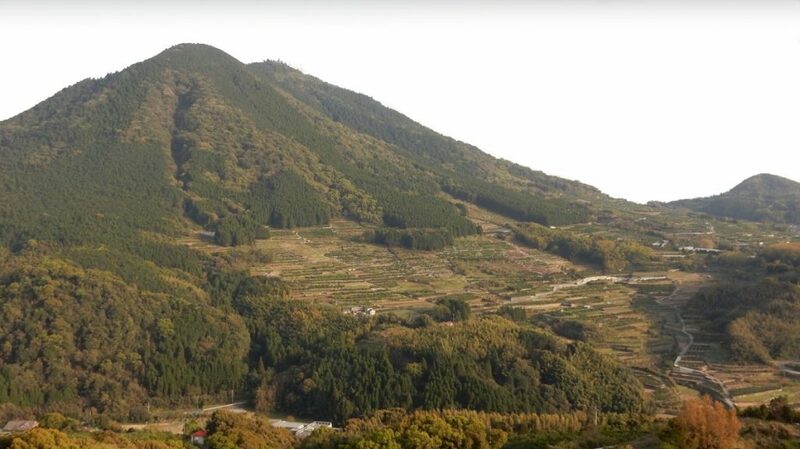 If you’re looking for something off the beaten path that many visitors tend to overlook, you can take a spiritual journey to the Reigando Cave on the Western slopes of Mt. Kinpu. The cave is located behind Unganzen Temple, and if you’re brave enough to travel inside you’ll be greeted with 500 carved disciples of Buddha statues. It is said that if you study each statue’s face carefully, eventually you’ll come across a face you recognize! 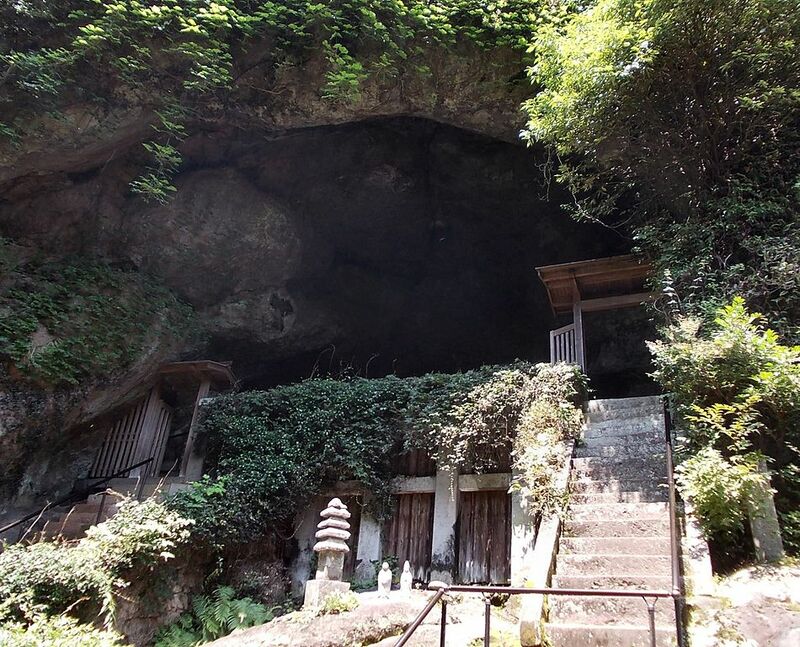 If you make it to the back of the cave, you’ll be rewarded with a statue of the four faced goddess, Iwato Kanon, which was said to have mysteriously shown up in the cave over 1,000 years ago after the ship carrying it sank at sea. All in all, there’s plenty of mystery and spiritual energy to be found at Reigando Cave! Known for its great produce, fun tourist attractions, and bewitching scenery, Kumamoto has just about everything a visitor could ever ask for in terms of getting a taste of the rich culture and history of Japan. There’s more than enough to see and do during your trip to Kumamoto, and you may just find that one trip simply isn’t enough! Whether it’s your first time visiting, or you’ve decided to come back for more, Kumamoto is always prepared to welcome guests with open arms!